Innovation is the key to success in the modern online slots world and there are few software developers that can match Yggdrasil. Always aiming to raise the bar and turn expected norms into unexpected surprises, Yggdrasil has done it again with Seasons. Boasting HD colours, Disney-quality animations and, as you'd expect, a background where the weather is constantly changing, Seasons is a true example of a cutting-edge slot. Of course, there's more to this spinner than a pretty interface, which is why we've created a Seasons slot review for you to digest. 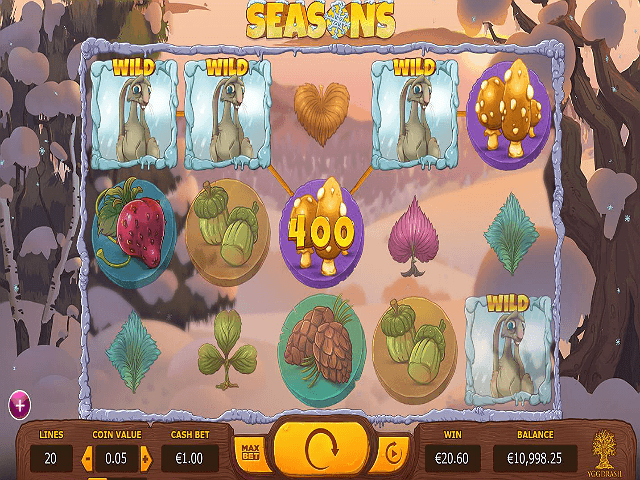 Picking out the finest features the Seasons online slot game has to offer, our review will ensure you've never caught short by the changing weather conditions when you take a spin on this flagship Yggdrasil title. 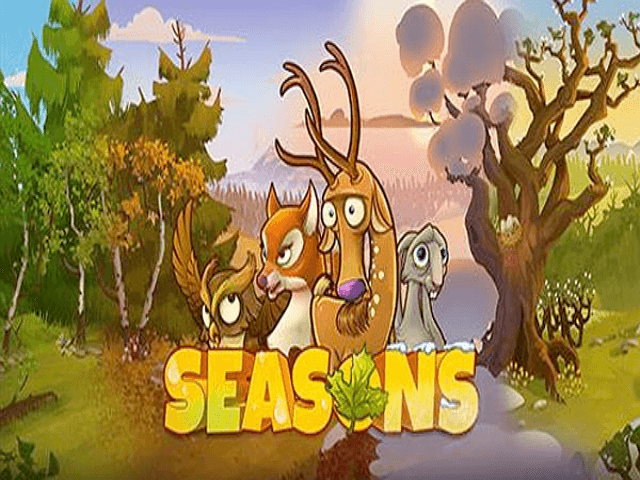 Play Seasons Slot Demo for Free! Play Seasons for Real Money! 100% bonus up to £100 and 100 bonus spins! Only recently joining the online casino scene, the 2016 launch of Dunder Casino went off without a hitch as the UK-facing operator immediately rose to the top of the online casino industry thanks to its partnerships with the most elite slots providers as well as their already well stocked game selection! 100% First Deposit Bonus up to £200 + 50 Extra Spins! 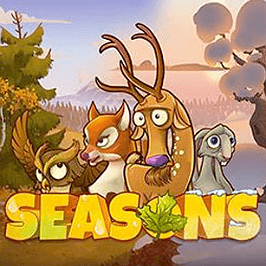 As you'd expect from an online slot called Seasons (not to confuse with Betsoft's 4 Seasons), the overriding theme is the great outdoors. From the live action background complete with falling snow and rolling fields to leaves of all colours, shapes and sizes (representing the different seasons), everything is designed to make you feel at one with nature. While there's no storyline to speak of, the level of animation and imagery in this game are second-to-none. In fact, when you combine these impressive looks with the lullaby-style music and the sounds of nature playing in the background, it's little wonder players of all persuasions dig into this slot again and again. While the Seasons slot game is great to look at, the real appeal of this spinner comes when you learn how to play. As per the in-game rules, prizes in the payout table are unlocked when you match three or more symbols. At the minimum betting stakes, 0.20 credits, you can win 5x your line bet when you match three green clovers. At the other end of the spectrum, when you set the five reels and 20 paylines in motion with a max bet worth 100 credits, you could win a 1,000x your coin size, which, in this instance, is worth 5,000 credits. 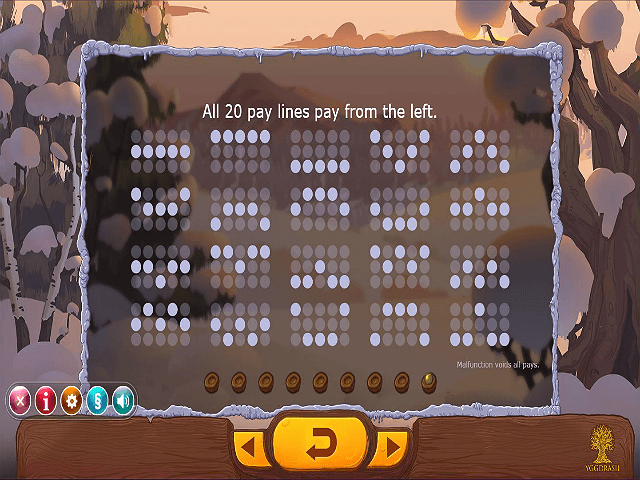 Winter Mode: During this mode, the Hare wild will duplicate itself in another position and help create the best possible win. Spring Mode: Just as the sun is starting to shine, the Owl wild can fly into view and give you a free spin. As the reels turn, the owl will move in random directions and help create winning combos. Your free spins can continue as long as the owl is in view. Summer Mode: When the temperature starts to rise, the Deer wild has the power to create a cross-shaped selection of wilds. When this happens, you'll essentially be able to use wilds in four different sections and, therefore, bank more wins. Autumn Mode: As the leaves start to turn brown, the Fox wild will award random multipliers. Depending on the number of wilds in view, you could add a multiplier worth 10x to your spins. By changing the bonuses you can land according to the weather conditions in the game, the developers have done a fantastic job of using a theme to give you more ways to win. 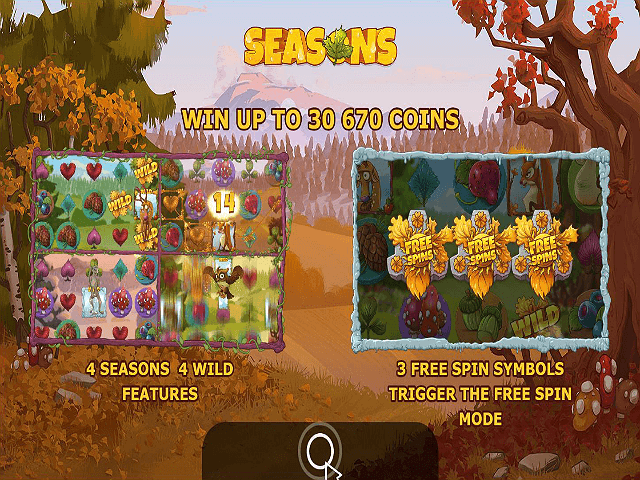 If trend-setting video slots with impressive multipliers and thorough theming are your thing, you should definitely take a spin through the Seasons. Share this Seasons Review today! If you like Seasons, you'll love these slot titles too!